When a crazy moment happens to two celebrities, it often takes place at the MTV VMAs. It’s hard to believe that the infamous kiss between Britney Spears and Madonna (and Christina Aguilera, for the most part) happened all the way back in 2003, but it was definitely a buzzworthy moment that people talked about for weeks. And perhaps Britney Spears wants to end her VMA kissing record at that. 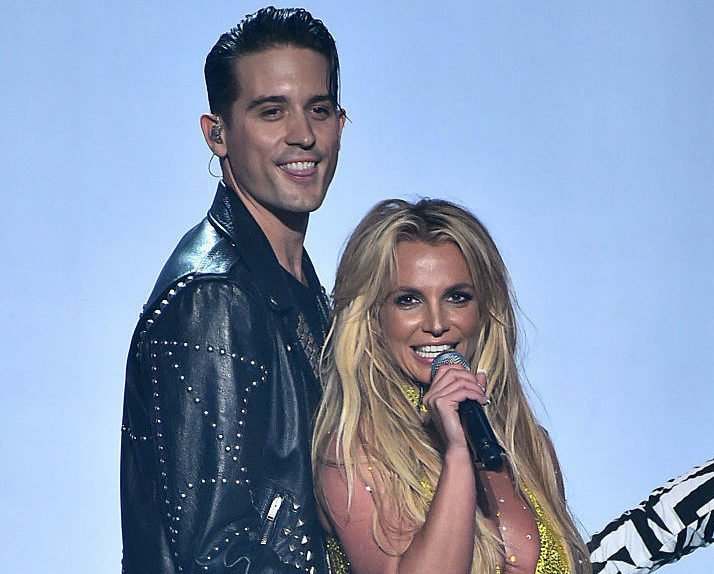 During her (amazing) performance at the 2016 event, she got a little handsy and heavy with rapper G-Eazy — and at one point, it looked like G-Eazy was going in for a kiss that Spears turned away. But, Spears pretty much denied that there was anything crazy going on that fans should know about. “He has a girlfriend!” she said in an interview about the performance with 92.3 AMP Radio. “In rehearsals, there wasn’t really anything planned for us to do, so when we got there … I didn’t honestly really know what I was doing. I do something similar to that in my show in Vegas, so I went on automatic with what I do performing live, and I just did what I do to the dancers in Vegas,” she said. Here’s another tidbit People recently reported on Britney Spears: Her new album, Glory, was actually named by her 10-year-old son, Sean Preston. It’s sweet to know that he’s involved with his Mom’s career. “It’s cool though because he’s young and he knows. As I teach them, they teach me as well,” Spears said. We can’t wait to see what Britney does next. Oh, and G-Eazy? We’re sure there were no hard feelings – because Britney is just that awesome.